From March through October, in towns peppered throughout North Carolina and Virginia, some of the best barbecue cooks in the nation come together between 25 and 30 times a year to strut their stuff in the Whole Hog Barbecue Series cooking contests. The barbecue chefs who qualify in the local events then square off for the grand prize: the Whole Hog Barbecue Championship. All of the events are organized and sanctioned by the North Carolina Pork Council. And if you haven’t been to one, you don’t know what you’re missing. The Whole Hog Barbecue Series, sanctioned by the North Carolina Pork Council, celebrates the history and artistry of whole hog cooking, supports communities and nonprofits, and is proud to have a wide and growing fan base in North Carolina. 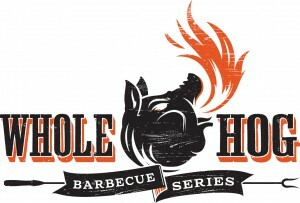 For more information on the Whole Hog Barbecue Series and the history of whole hog barbecue cooking, visit www.wholehogbarbecue.com.